Become Yours is a soft peach jelly with aqua shimmer. Funny Yellow Shoes is pale yellow jelly with soft pink shimmer/microglitter. Just a Dream is a grey jelly with silver shimmer and purple microflakes. Make-Believe Reality is an aqua jelly with fuchsia and blue shimmer. Strange Changes is a grey-green jelly with copper shimmer/microglitter. The Gift You Gave is a purple jelly with sapphire blue shimmer/microglitter. Each swatch you see is three coats of the polish. I've shown it first in direct light and second in indirect light. I found the formula on all of these to be pretty similar. On me, three coats left a tiny bit of visible nail line (particularly on my ring finger, which has more free edge). I'm sure four would have covered it entirely, but I was happy with the opacity that three coats achieved. 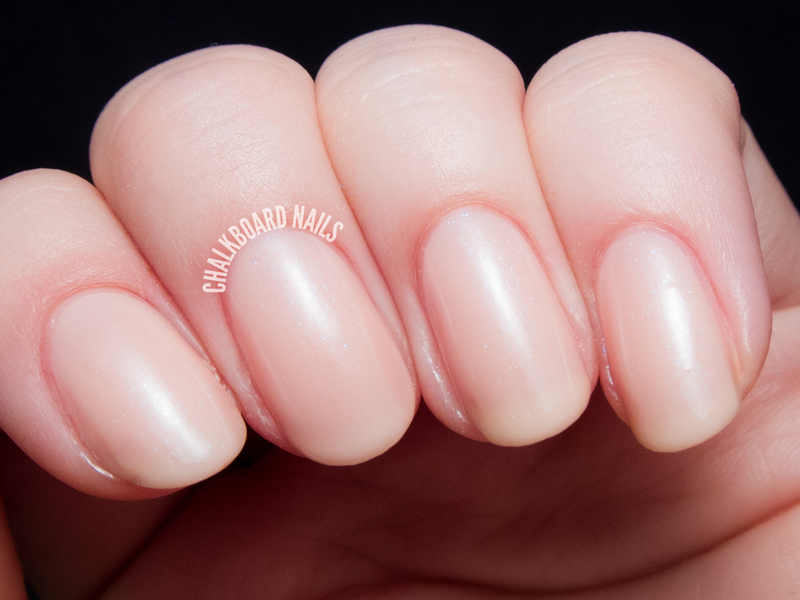 The formula of these shades was good, maybe a bit on the thicker side, but they applied smoothly. Funny Yellow Shoes and Become Yours had the best formulas of the two for me. As far as colors go, my favorites are Just a Dream and Strange Changes. They are all really beautiful though. Don't they look lovely as a set? Which ones are you digging? These are all so pretty :) My favorites are Just Because, Funny Yellow Shoes (such a unique and fun base/shimmer combo! ), Just a Dream and Strange Changes, which is probably my #1 pick. LOL oh wait, I just named like the entire collection practically! Contrary Polish always puts a smile on my face; I really haven't found a polish of hers I haven't absolutely loved. These are soft and dreamy - perfect for Spring! These are very nice! There so wearable too. Love this collection! I really loved the first Love lyrics collection too :) Perfect swatches as always. I love the soft, misty look of these polishes. I have no problem with VNL since I like pastel sheers. I wouldn't mind having all of these! Oh my, are these gorgeous or what!? I love all of them. The subtle glitter just kills it. If three layers are needed, though, I would definitely not go for the minis. Would take forever just because of the smaller brush alone. You just chose one of the best set... As for me, I'm keen on Funny Yellow Shoes and Strange Changes. Beautiful collection, loved the color "Make-Believe Reality"
The Gift You Gave is my favorite! I want I want!